Cookies are short pieces of data that are sent to your device (computer, tablet or smartphone) when you visit a website. 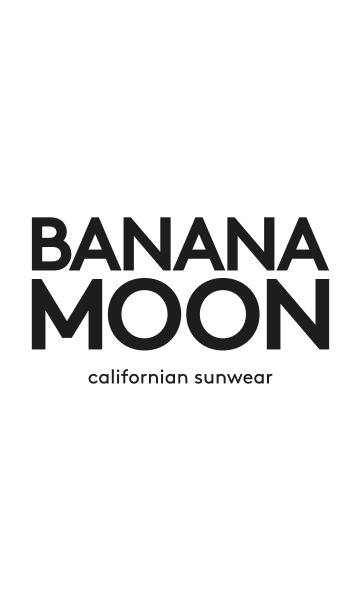 Cookies allow us to personalize your experience and provide you a better use of the website functionalities; we automatically recognize you whenever you visit the website in order to display relevant information about BANANA MOON in relation with your expectations and preferences. Besides, we also use those data in order to track various statistics on the website and know how visitors came to the website. 2) Which cookies are being used? - Know who you are to enhance and simplify your user experience. - Ensure safe browsing by preventing fraudulent activity. - Provide relevant content regarding your preferences. - Provide promotional content in relation with your preferences and previous purchases. 3) How can I manage cookies in my browser? Default browser settings are usually accepting cookies, but you can easily change these settings in your browser. However, if you chose not to accept cookies anymore, you could experience some issues in using some functionalities of our website. 4) Do we use third party cookies? 5) Do we have our cookies on third party websites? Some of our cookies can be placed on third party websites we have a partnership with and displaying advertising on our brand and/or products. These cookies are used to deliver relevant and tailored content and to track statistics on this content (including advertising). 6) Which cookies are being used on this website? * The list of implemented cookies is updated at least once a year, on January 1st. Each visitor of a web page has a unique ID via the __utma cookie. It allows the same visitor returning to the website not to be seen as two different visitors in the statistics. Allow to memorize shopping bag content so that when a visitor returns to the website he can find products he previously selected.